Samuel R. Crockett originally joined the firm in 2009. Currently, Mr. Crockett focuses his practice on civil litigation and defending Southern California’s healthcare community. Mr. Crockett graduated with a B.A. degree in American Literature from the University of Southern California in 2005 and earned his juris doctor in 2008 from Regent University School of Law in Virginia. Mr. Crockett is admitted to practice in the State of California and the Commonwealth of Pennsylvania, as well as the United States District Court for the Central and Southern Districts of California. 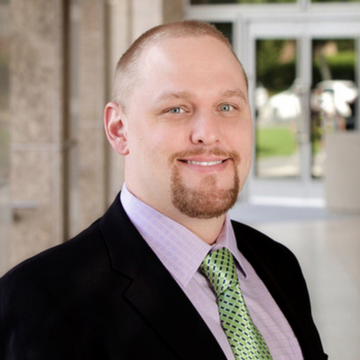 Since beginning his professional practice, Mr. Crockett has also served as a civil litigation attorney with the law firms of Carroll, Kelly, Trotter, Franzen, McKenna & Peabody and La Follette, Johnson, De Haas, Fesler & Ames, where his practice focused on medical malpractice defense. Mr. Crockett is a life-long ice hockey player and fan of the Anaheim Ducks. He earned his Eagle Scout award in 1997, and enjoys backpacking and snowboarding in California’s Sierra Nevada Mountains. Mr. Crockett currently resides in Ladera Ranch, California, with his wife Katie, who serves as a City Planner for the City of Laguna Hills, and his two daughters, Evelyn and Grace.